"Epigraphs in an undecipherable language, half their letters rubbed away by the sand-laden wind: this is what you will be, O parfumeries, for the noseless man of the future. You will still open your doors to us, your carpets will still muffle our footsteps, you will receive us in your jewel-box space, with no jutting corners, the walls of lacquered wood, and shopgirls or patronnes, colorful and soft as artificial flowers, will let their plump arms, wielding atomizers, graze us, or the hem of their skirts, as they stand tip-toe on stools, reaching upwards. But the phials, the ampules, the jars with their spire-like or cut-glass stoppers will weave in vain from shelf to shelf their network of harmonies, assonances, dissonances, counterpoints, modulations, cadenzas: our deaf nostrils will no longer catch the notes of their scale. We will not distinguish musk from verbena: amber and mignonette, bergamot and bitter-almond will remain mute, sealed in the calm slumber of their bottles. When the olfactory alphabet, which made them so many words in a precious lexicon, is forgotten, perfumes will be left speechless, inarticulate, illegible." Please discuss, perfumaniacs. What does this mean to you? It makes me think that the nervous types at IFRA should read this and rethink their efforts at moving perfume further and further away from its roots. An elegy for what we're losing, bit by bit, in these reformulation times. Lovely quotation - I'll have to seek the book out. Thanks for making me aware of this. The perfumes of today are mere shadows of what existed three decades ago- quality and natural ingredients are no longer being utilized in modern fragrances-strange,exotic names are assigned to chemicals (AKA "notes") that are supposed to replace gorgeous essential oils that have been either banned by IFRA or are too "costly" for the greedy market to utilize... "the olfactory alphabet is forgotten..." and as we are innundated with more and more releases,flankers,limited editions,etc,etc "our deaf nostrils will no longer catch the notes..."
Julie, I agree. And I love that he likens perfume to both music and language. It has "harmonies" and "cadenzas" but also creates out of "an olfactory alphabet...so many words in a precious lexicon." I think all of us who love perfume would agree it is indeed a precious lexicon. Brigitte - That oakmoss, clove, and certain jasmines are being banned by IFRA certainly makes you wonder what we'll be smelling in a couple decades. I'm no anti-synthetics person, but not everything can be synthetic in perfume, prioritized for the synthetic. There needs to be an interplay between real and synthetic. At least some of us die-hards keep saying our A B Cs (aldehydes, bergamot and civet?) so that we don't forget. It sounds like he's bemoaning the fact that people aren't close enough to nature anymore to recognize perfumery notes. And that perfume companies will delve further into notes not found in nature. Exactly what Joan said-perfume companies delve further into notes not found in nature-(ie: solar wood which is some made up great sounding note for a chemical compound). I agree that when certain naturals are banned by IRFA the perfume industry has no other choice but to look for chemical substitutes. Yet, I feel that the usage of nothing but synthetics takes something away. We live in a culture that is innundated with nothing but "clean" smells that are all artificially made. When was the last time anyone spent time outdoors in the wee hours of the morning and just took a whiff? Every season, change of weather results in a different smell- I know when winter is approaching, spring is in the air, summer is around the corner based on the scents imparted in the atmosphere. I believe that some of the fragrances of yesterday were meant to evoke those scents/feelings. Will the future generation be cognizant and appreciative of this? Brie, I think you're absolutely right that perfume once evoked the scents and emotions of real things, and was able to do so because of its balance of natural and synthetic ingredients. But without those natural ingredients available (HEAR THAT IFRA? 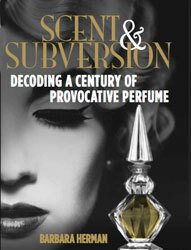 ), soon all of perfumery will turn into a synthetic stew faintly evoking the shadow of something that's familiar to us. There's a reason so many people think that perfume is something that should be banned from the public sphere; they're not familiar with the way in which it can prompt us to experience our everyday olfactory world in a more intense way. Perfume to them is the equivalent of Synthetic. (Thank god there are niche perfumers who are bucking this sad trend.) And yes, if you haven't noticed, I'm OK with rants! In fact, I welcome them. As a good friend sagely commented to me: "Thank goodness for synthetics as there's only so much 'natural' in the world (a bit like gold), and if we use it all we'll destroy the planet. Thank goodness for naturals as they keep some countries in business. And when all the perfumers are long gone, human kind will find a way to bottle a fragrance somehow." and my comment... as we evolve and progress, so must also the art [the science!] of olfaction and scent creation. But as always, we can never forget, and must always be guided by, our history and roots! You're right, Mrs. Scents — balance is key. It's a good thing people stopped slaughtering musk deer simply to get their musk pods, and we don't want all the sandalwood forests to disappear. But IFRA is banning ingredients like the Eugenol in clove buds, certain jasmine essential oils, and oakmoss, which is in abundance. A market for natural ingredients is good for certain economies, yes, but natural ingredients (as you know!) are also good for perfume! A perfume without natural notes is simply not as warm, interesting or beautiful. I agree also with you Julie.